Pete Magill is no Luddite. He ran a popular blog for a time. He uses social media. But when it comes to high-tech gear marketed to runners, the coach and record-setter puts his foot down. 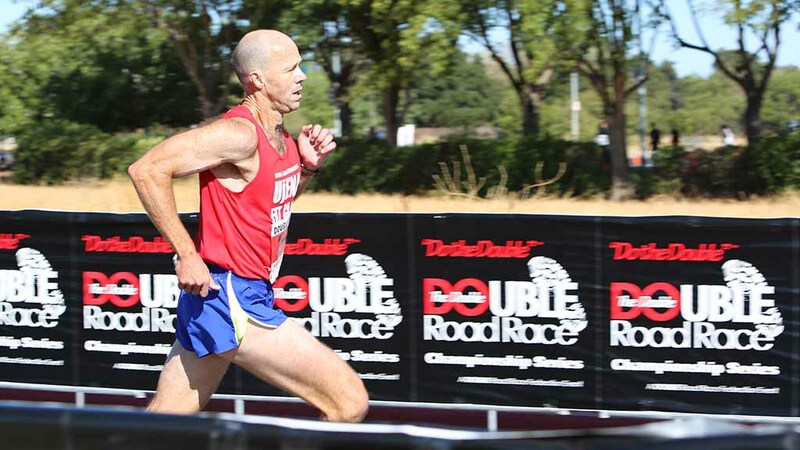 In his latest book, the eight-time Carlsbad 5000 racer (one overall masters win and four age-group firsts) includes a section on mistaken faith in “shiny objects” — digital devices and apps that track your heart rate, distance covered and steps-per-day. I’m too heavy or fat. Too out-of-shape. Too tired. Too stressed. Or running is too boring. Too painful. Or more seriously: Can my heart take it? What if I fail? And many others. The irony is that Magill, 55, fell victim to many of these in a stop-and-start career that saw him bloat to 200 pounds amid a junk-food diet and become a heavy smoker, drinker and amphetamines user. 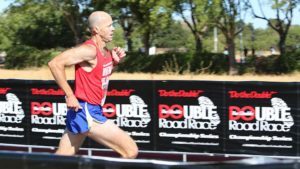 “I’d kick things off with two packs of Marlboros, then a pack of Camel non-filters when I couldn’t taste the Marlboros anymore, and then a pack of Kool menthols when even the Camels weren’t registering,” Magill told Runner’s World in 2008. The proof in his pudding: In his late 40s and 50s, the one-time Hollywood screenwriter (sales to New Line Cinema and Disney) became a distance star. He set American age-group records from 3,000 to 10,000 meters (and running a leg on a 4×1600 relay team). 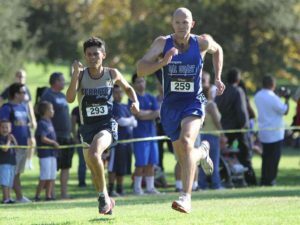 Until recently, the South Pasadena resident was the oldest American to run 3.1 miles under 15 minutes (14:45 at the age of 49). 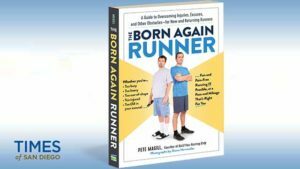 After publishing the encyclopedic “Build Your Running Body” in 2014, Magill uses “Born Again Runner” to preach the gospel to folks who either hope to race or jog-walk to lose weight. Times of San Diego: You’ve been hard on fads, such as barefoot running. Now you take on “shiny objects,” digital gear for measuring heart rate, steps in a day, etc. You say they have their place (such as timing and measuring runs), but you’re skeptical. What say you to the millions who swear by these devices as motivational tools? Pete Magill: The first thing I’d say is that if “shiny objects” that measure everything from your heart rate to the steps you take in a day is what gets you out the door, then keep using them! Same goes for Pose, ChiRunning, or even barefoot running. If that’s what motivates you, then stick with it. But also understand — especially if you’re a new runner — that these objects aren’t necessarily providing you with the information that you think they are. First, studies consistently show that fitness trackers err between 10-25 percent when recording things like calories burned and heart rate. Next, understand that the recommended target numbers are based upon group averages and probably don’t apply to you that well —or at all. There is no consistent measurement for max heart rate, metabolism or fitness gains that’s reliable for all members of a large group. Finally, understand that taking steps is better than sitting in a chair all day, but it isn’t the same as being “fit.” A friend of mine was upset that he was meeting his suggested daily step total but still couldn’t run a 100-meter stride without straining his calf muscles. I had to break the news: Steps do not equal fitness. For that you need an actual training program. One more point, our interaction with these objects can be unhealthy. In my early 40s, I had a go-to “easy” run. But as I neared my mid-forties, my time for the run slipped from 45 minutes to 48 minutes. Frustrated, I left my watch at home —only my son timed me, anyway. The run took 64 minutes. Turns out I’d been running too hard all along! I started leaving my watch home on all my distance runs. As a result, I ran at the correct effort. And before long I was winning national masters cross country championships and setting age-group records. You drop a few religious references in “Born Again Runner” — like “have faith that your running questions will be answered.” No doubt you adopt a preacherly tone. The only excuse you didn’t address was: “Running is against my religion.” Is running a religion? What’s your own religious affiliation and practice? I’m spiritual, but I’m not religious. That said, I believe there’s a fundamental, mystical wellspring that gives birth to religion. And sensing that wellspring, I feel an affinity with all religions, and with religious people who, through their faith and practices, seek to tap into that wellspring. Like religion, running often transports us beyond temporal concerns. The daily run becomes the time of day when we commune with both the outside world and with our inner spirit, when we come face to face with our physiological limits while simultaneously entertaining an almost Zen-like embrace of our boundless imagination and potential. Running isn’t a religion, but it can bring out our spirituality. Your story of how you became a drinker, smoker and other-vice victim is heartbreaking, given your track and road records of the past decade. Had you been healthy in your 20s, what running performances would you have been capable of? A potential Olympian? I was complaining to a friend not long ago about the opportunities I’d lost by growing up in a dysfunctional household — my father was an alcoholic and my mother was nuts, although I loved both of them dearly — and by wasting so many years because of substance abuse. And my friend said, “Actually, I think you turned out pretty well, given what you went through.” She was right. One hundred percent. Here’s what I think, and I’m not lying. Forget about being an Olympian, I’m lucky I didn’t die back then. Or end up in prison. Or do something so horrible to someone that I couldn’t live with myself. I’m the luckiest guy in the world. “Born Again Runner” warns against doping but doesn’t reflect your deep feelings about PEDs in elite and masters running. Why shouldn’t competitive runners over 50 take medicines their doctors feel are needed to protect their quality of life? Runners should definitely take medicines their doctors prescribe to protect their quality of life. But they should also understand that drugs that function as PEDs don’t give a little boost. They give a huge boost that is unattainable to someone not using those PEDs. For those who’ve been in the sport for decades — and who have trained and competed using only our natural physical and mental faculties — it’s almost incomprehensible that we’re now considered unreasonable for taking a stand against PED use. I would have no problem with masters competitions including exhibition races for athletes who use PEDs for their health. But I do have a problem with being asked to accept that my competitors will be given a free 5 percent (or more) advantage without having had to train a step for it. PED users don’t just want to participate in the sport; they demand the right to beat you while pretending it’s an even playing field. What are your own recent running bests? What are your running plans this fall — and beyond? I ran a 15:48 for 5000 meters in the spring, just before turning 55, and I expect to run a mix of races this fall, beginning with a 10-miler in Sacramento on Aug. 28 and including the USATF National Masters 5K Championships in Syracuse, New York, in October and the USATF National Club Cross Country Championships in Tallahassee in December. I missed almost all of 2015 while rehabbing Achilles bursitis, so I can’t wait to toe the line with my clubmates over the next few months. What is your next project? A book on improving running speed? I’ve launched a training program, SPEEDRUNNER, that builds speed, power and agility in athletes and fitness enthusiasts. It’s a four-week program that includes 12 sessions, three sessions per week. There’s a strength day, a skills day and a speed day each week. We just completed the initial program, run at La Canada High School, and it went great. As an example, athletes tested on the first day and then again on the last day improved their 40-yard dash time by an average of 9 percent! 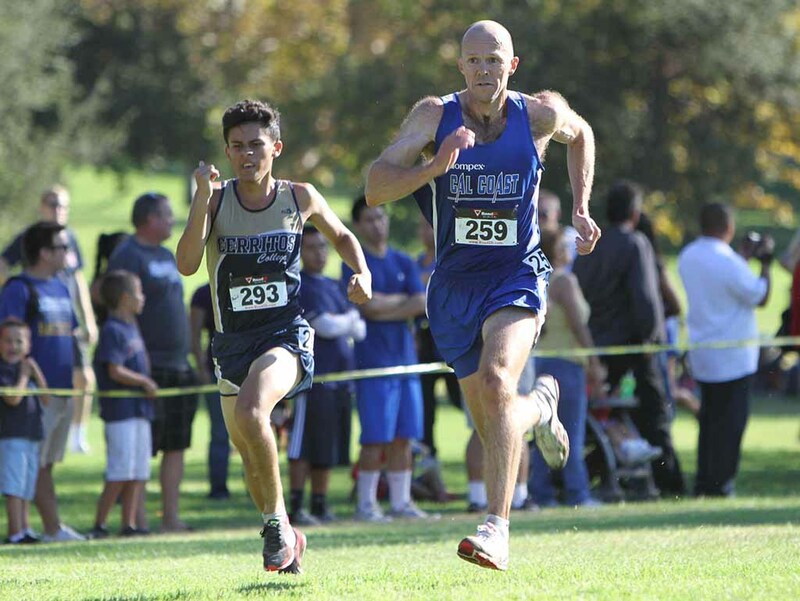 It’s my belief that athletes in any sport — even distance running — improve when they become faster, stronger and quicker. And yes, it’s the topic of my next book, also called SPEEDRUNNER. 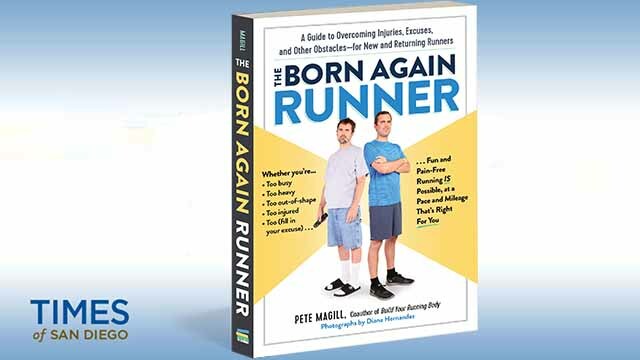 “Born Again Runner” was published last week. Have you coached any celebrities you can name? Which of your trainees are you most proud of? I can’t think of any celebrities I’ve coached. When I stopped working as a screenwriter in Hollywood, I pretty much stopped interacting with people in the Industry. As far as the athletes I’m proudest of, you’d be surprised. I’ve helped out a lot of my masters clubmates, many of whom have set American and even world records. But it’s the non-elites who really impress me as a coach, the runners who’ll never break the finish tape or stand atop the winner’s podium, but who train and race their heart out anyway. One of my athletes, Holly, who at 55 is the same age as I am, just completed a three-day race in the Colorado Rockies two weeks ago. Each day had about 4,000 feet of vertical climbing. She sent me photos at the end of every day. And she was absolutely thrilled when she finished. As a coach, how can you not love that?! You say running should be fun, and give examples how to accomplish this. But generations of PE students (eighth-grade milers, as you note) consider running a painful chore meted out by evil teachers. (Common T-shirt slogan: “My sport is your punishment.”) Can your book turn this perception around? Of course, running isn’t fun if you step out the door for the first time and then run until it hurts. That’s sort of obvious, right? Do something until it hurts, and it’s going to, you know, hurt. The book recommends a much more incremental approach to training. Start with walking or some light resistance work. Progress to jogging surges. Finally progress to running. A person can get into great running shape without going through pain. In fact, a noncompetitive runner is doing something wrong if they do hurt. That said, a competitive runner will have to experience pain. But here’s a secret: Competitive runners like that pain! You address issues like heart disease and statistics showing running as good for you. But too many people recall Jim Fixx’s death at 52 while jogging. Is your book sufficient to combat that fear as well? Jim Fixx had congenital heart disease and a history of weight problems, smoking and high stress (hmm, sounds like someone I know). One of his arteries was 95 percent blocked. 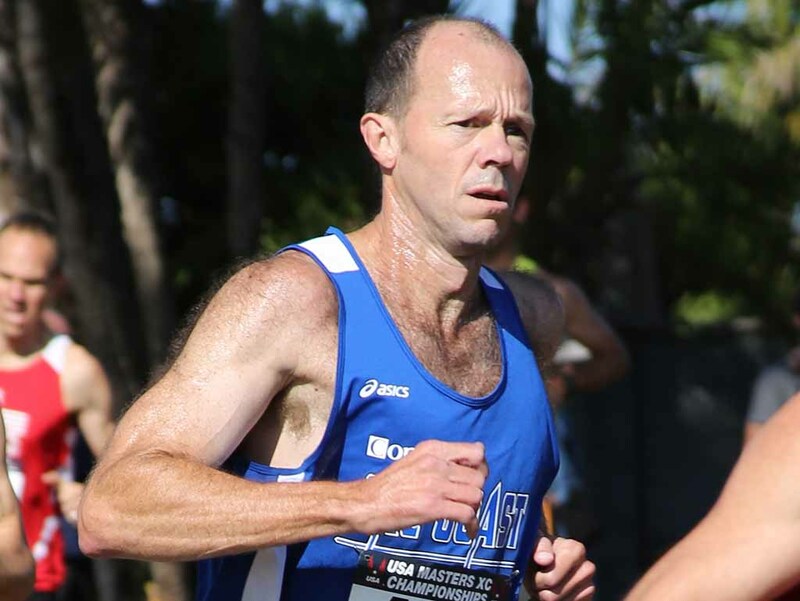 His father died at age 43, so it’s possible running is what allowed Jim to live to age 52. In any case, science is clear on this point: Running is healthy for your heart. A nonrunner in the USA dies from heart disease about once every minute. Surely, that statistic is scarier than a single runner dying due to a blocked artery and a history of unhealthy living. Runner’s World and other publications have covered many of your topics before. What is the most revelatory “new” information in “Born Again Runner”? Without a doubt, I’d have to say the injury-prevention section is way ahead of what you’ll find in Runner’s World. Too many magazines still treat injuries with the same remedies that haven’t worked for decades. Having suffered through most of the injuries covered in the book, this section is personal to me. Injured runners want to get healthy, and they want to start running again. They want that right now. This section of the book provides proven methods for preventing and recovering from injuries.